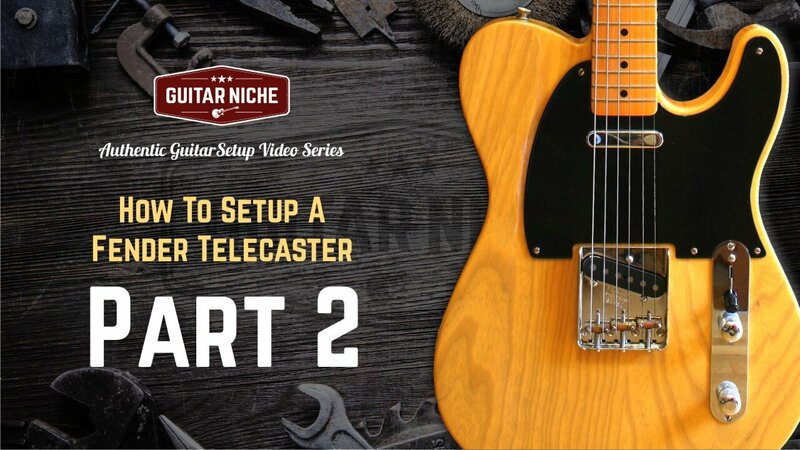 Part 2 of How To Setup A Fender Telecaster. In this segment, we continue to tackle the job of making this killer ‘52 Reissue roadworthy. Tearing the instrument down to it's bare essentials is a relatively simple task. 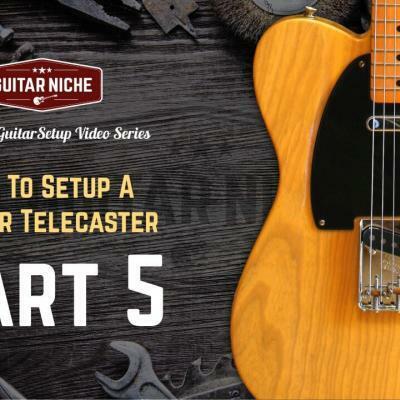 The real trick with setting up a Telecaster, especially these old school Teles, is dealing with screws and hardware that may be deteriorated. 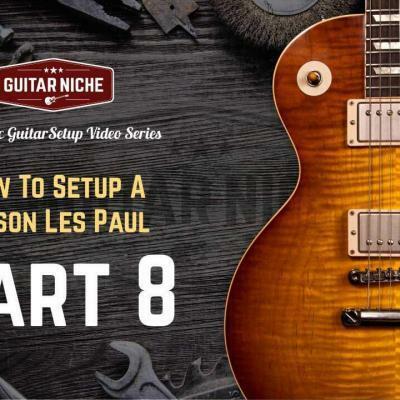 The slot screws that hold everything together on a vintage style instrument can be particularly troublesome because of the lack of tool grip. It’s VERY easy to slip and wind up with a big headache. Watching a flathead screwdriver skate across a premium instrument’s finish is no fun. For a complete list of recommended tools, check out our Guitar Setup Tools Guide page. Whether you have an original vintage instrument (lucky you) or one of the fine reissues, they setup just the same. The recent American Vintage '52 Telecaster, the very fine Japanese FujiGen TL52-75, excellent Custom Shop editions, cost effective MIM models and of course our current 90’s era patient. Which leads to the next question, which one is better? 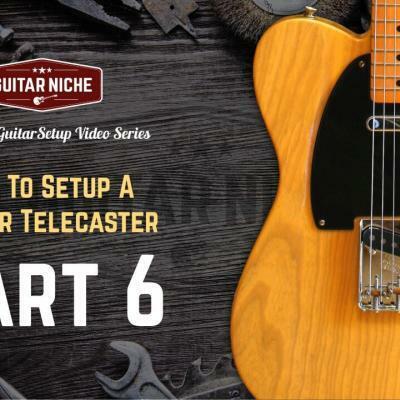 If you really love Teles, they’re all good. If you’re a purist, they’re still all good - they’re Teles! 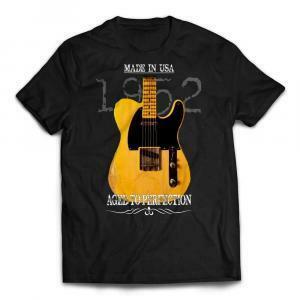 The U.S. made ‘52 Vintage Telecaster first hit the market in 1982 and featured the expected 4 numbers stamped into the bridge plate. Later in 1988 it changed to 5. According to many Telecaster Reissue fans with a broad range of experience, Custom Shop versions such as this [eafl id=2402 name="Fender Custom Shop 1952 Time Machine Heavy Relic Telecaster" text="Fender Custom Shop 1952 Time Machine Heavy Relic"] is about as close as you can get to the real deal. Of course there are winners in every rendition. I’ve handled some that were just stellar. Once in a while you get one in your hands and it just has… that sound, that feel that is just right. All that without the price gap that will set you back $30,000.00 investing in an original instrument. Think about it, those original beauties have approached the average person’s retirement age. A little housekeeping and some preliminary adjustments that get us closer to Tele nirvana. Thanks for this amazing post. I’m a long time reader but ive never commented till now.